It is important to communicate with the school bringing to their attention what your child is experiencing. Some schools recognise that bullying takes place and will offer an attentive ear. Initially, the school may not have been aware that bullying is taking place, so you need to work with them if possible. If you are successful in enlisting the support of a teacher this can help a child feel protected within the school. This also allows the school to play an active role in identifying problems that your child may be having. Remember most teachers are themselves parents therefore should understand your concerns. Since September 1999 it has been a mandatory for every school in Wales to have anti-bullying policy. However, CURB is fully aware that sometimes the anti-bullying policies are not worth the paper they are written on. Having an anti-bullying policy is one thing, implementing their structured guidelines on tackling bullying is another! In the event of the school, local authority, police and/or other agencies rejecting your child’s allegations of bullying, “passing the buck as it is not their problem” this could result in the aforementioned having legal action taken against them! 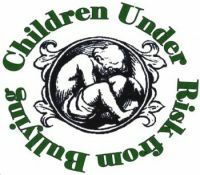 CURB have been informed by members within the legal community that a child/young person have until their 18th birthday if such action needs to be taken or their 21st birthday under exceptional circumstances. However, if the above legal standing changes at any point CURB will notify parents as soon as CURB are informed!